TOBI - What Rhymes With Tequila? It's the last day of this sale at TOBI. 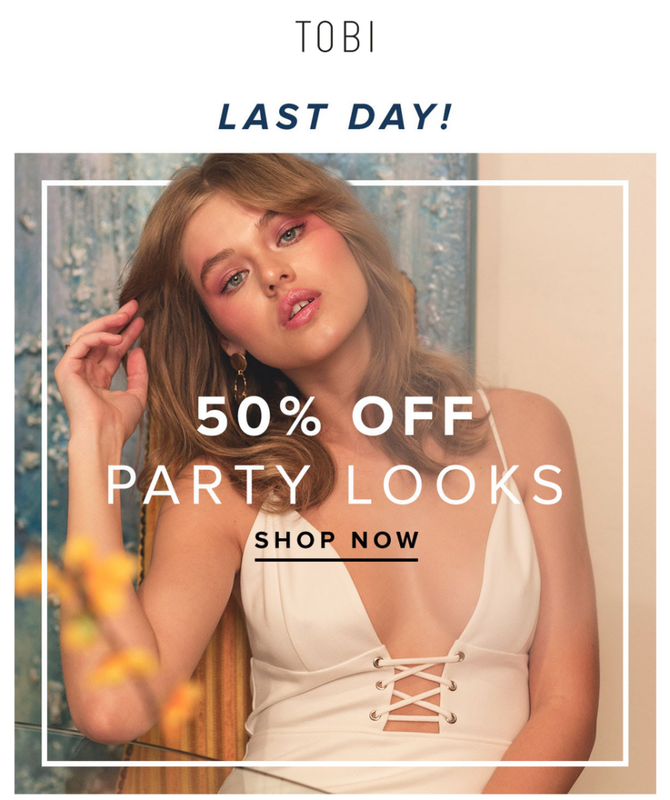 Make the most of this offer - 50% off party looks.